Unless you have been hiding under a rock for about a year or so, no doubt you would have heard of programmatic marketing or advertising being bounded around by agencies, blog posts, in conferences and from those who want to target more efficient spend in the advertising arena. The IAB estimates that by 2018 programmatic spend will have grown from 28% in 2013 to over 80% of marketing spend. Its time to jump onboard and think about where and how you’ll be spending your digital budget. Programmatic buying will make up $14.88Bn of the approximately $58.6Bn digital advertising pie this year, according to eMarketer. This post will give you a high level – whistle stop tour of what is programmatic. How it is projected as a “game changer” in digital advertising budget changes and how it can benefit you. Simply put – programmatic marketing is a way to target what types of audience you wish show your advertising to. Which can encompass segments across demographics such as age, gender, social standing, to geographic in certain areas of the country. As with Paid Search you can also limit the ads to times of day and frequency. You can decide which publishers you want your ads to show on. This way you are only paying for highly effective ads, delivered to the right people at the right time. Its a change from traditional ad buying. No longer a buyer agrees to run a certain number of ads with a publisher and is locked in to the contract. Programmatic media buying, marketing and advertising is the algorithmic purchase and sale of advertising space in real time. During this process, software is used to automate the buying, placement, and optimisation of media inventory via a bidding system. Automating the process means that it can be done in real time and doesn’t rely on the human touch, manual insertions and manual trading. Programmatic media buying allows the “owner/brand” to tailor a specific message and creative to the right person, at the right time in the right context – using audience insight from the brand (the customers you want to target) around the kind of audience they want to target. This methodology should deliver far more precision and personalization of messaging and media, resulting in more efficiently targeted campaigns, and less of the “spray and pray” methodology of digital advertising – which is less targeted and based on sheer volume (mainly of impressions). How is Programmatic Marketing different? Again keeping this high level (as you will hear lots about SaaS, DSP, DMP etc which I will not go into here) programmatic marketing is about driving efficiencies in spend and resource. Ad buyers manually buy digital ads space (inventory) for their clients, so again, using the human touch. Programmatic makes the buying, placement and optimisation of process more efficient as its done by computers and algorithms – removing some of the mundane areas of dealing with different tagging requests, insertion orders and hopefully it should cut down on time to market too. What about Programmatic RTB (Real-time buying)? Programmatic RTB is different to PPC – as its done for display advertising only. Again its an automated way in transacting media thats bought and sold via technology platforms in Real-time. The process of RTB is set, so sellers of the ad space (publishers) make the space available for buyers (brands/advertisers) who then bid for that ad space. The RTB part comes into play, where brands/advertisers set different variables such as price, audience segment profiles (types of people) they are trying to reach with their message and the overall network reach. But how does it work in real life? When a webpage is being loaded and has the space for an advert (and there aren’t many that don’t serve ads of some kind eh) on it, information that’s been gathered about both the user/visitor (audience segment based on web behaviour etc) and the context of the site or webpage its being loaded to, is sent back and forth to an ad exchange and the ad is placed on that page. This space gets auctioned off to the highest bidder and their ad is placed in the space – all of this is done in milliseconds with no apparent detriment to page loads times or user experience. 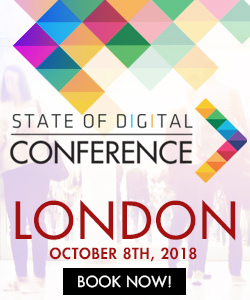 How do I know if an advert is programmatic or “normal display”? Well, you kind of don’t! Not 100% anyway, next time you see an advert on a web page – take a second or two to look at it and think, is it a targeted advert based on programmatic about you, your segment and likelihood to be an ideal person to click on it – or is it just inventory purchased on a spray and pray display – where volume or spreading the message as far and wide as possible, will drive the traffic or conversions your way. Is programmatic marketing the future of all advertising? As a person who works client side, then isn’t it right that we would want our advertising and campaigns to be marketed to the right type of person, at the right time for them in the context and place that they digest their media? Then my answer is yes! Programmatic marketing is moving quickly into the realms TV, radio and out of home (OOH) advertising, its not quite there in terms of display advertising just yet, but all of the background data that supports those media outlets is already there, it just needs to be used and “welcomed” by publishers – but it certainly will be very soon! I still believe there is a place for the “old inventory display” way of buying ad space, that could be used for more brand awareness – in terms of having a brand that offers lots of different products to different audiences. For me, I will be focusing my planning on programmatic! 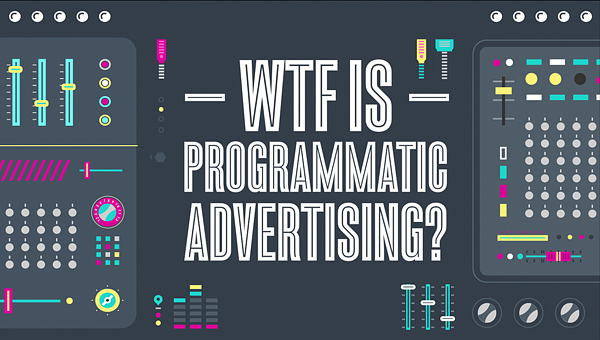 Looking to find out more about Programmatic Marketing? Sign up and download our FREE starters guide to programmatic marketing! 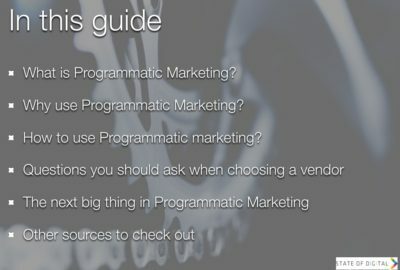 A quick guide in which you can find the what, why and how to programmatic marketing. I think that this article provides some extremely valuable insight on programmatic ad buying and breaks down the process of real-time bidding in an effective manner. Programmatic buying is definitely at the heart of marketing right now. 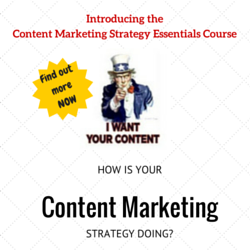 In my opinion it is one of the most effective ways to market. I know that http://www.sundaysky.com is big with a lot of companies, including at&t. They are the source for most of the videos you see! I agree, programmatic buying is very in right now. I know that http://www.centro.net is a great example. They provide media buying services as well as offer a media management software which they build themselves. Can anyone advise me on where to actually do Programmatic Advertising? Very good article, Russel, thanks :)! So basically it’s Krux Targeting/Ad Behavioral advertising. Right one information about Programmatic ads buying and advertise ! !